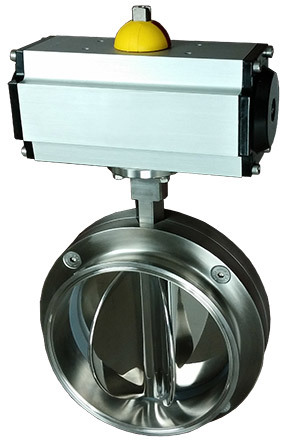 A product feeder or valve is at the heart of every batch system. This feed device can take on many forms: screw feeder, belt feeder, vibrating tray, slide gate, or rotary valve. They come in many ranges of sophistication and price. However, we believe that our customers desire a simple, hygienic, and low maintenance solution. To meet this challenge, IEDCO has developed batch systems relying solely on using a sanitary rotary valve as a batch feeder. Using this valve, we have successfully achieved extremely high batching accuracies. An alternative to our standard Rotary Valve is our custom, tubular Vibratory Feeder. Specially designed to feed product horizontally from a discharge hopper to the receiving container, our vibratory feeder is a simple, safe, and inexpensive choice for getting a controlled feed. The tubular tray and vibratory drive motor can be designed from small to large to accommodate nearly any project specific requirements.